If it is fair to say that few in industry and commerce have any real idea what will happen on the borders with EU Member States on day one of Brexit. And if uncertainty prevails in the private sector, one can be pretty certain that most government agencies will also be in the dark. Quite what the situation will be, in terms of what can be exported to the EU, and what can't, no one at this stage actually knows, and there is no means of knowing. Much will depend in the first instance on whether a transitional period is agreed, and the nature of any agreement - with the devil very much in the detail. The best case scenario, from the viewpoint of exporters, is a status quo transition where we carry on much as before. This basically kicks the can down the road, turning Brexit day into a non-event as far as the export of goods goes. Only when the transition period expires will we have to deal with a new set of rules to deal. As to the worst case scenario, that will arise in the event of "no deal". Either by accident or design, we will go into Brexit day with no administrative agreements between the UK and EU Member States, relying on what is called the "WTO option". Here, there is something of a definition problem as a "no deal" can be graduated. We could, for instance, have a basic agreement on tariffs – and possibly one on VAT – but not very much else. But, until we're faced with the details, there is no way of defining the precise impact on our exporters. A similar pall of uncertainty hangs over our importers. Ironically, the self-same WTO rules on which the "ultras" are so keen to rely will require that goods coming into the UK from EU Member States are treated in exactly the same manner as goods from third countries. Grayling's idea of a check-free border on the UK side is fantasy. What is being given far less attention than it should, though, is what is going to happen on the other side of the Channel (and the Irish Border) on Brexit day, in the event of a no deal. And there, if possible, there is as much uncertainty as there is over here. But if that is an issue in its own right, there is a further complication arising from the unique situation where neither side is fully aware of what the rules are. With very few exceptions, border rules have been built up between nations over a long period, with major changes phased in gradually, sometimes over a period of years. It is that, more than anything, which keeps the system working – the fact that it is populated by people on all sides of the fence who know the rules, know what they are doing and are used to working with each other. Now, take a day-one scenario where the UK, literally overnight, becomes a third country. As far as officials in EU Member States go, in the absence of a deal between the UK and the EU, the UK will suddenly cease to exist. The UK as an EU Member State, accessible on all the EU databases, will no longer be there. And inclusion on third country databases is not automatic – nor uniform in respect of different sectors and products. For certain products, such as medicines, there are very rigorous rules relating to market authorisation, and UK pharmaceutical manufacturers have been warned (by the EU) to transfer their authorisations to EU-based entities in order to keep trading on or after Brexit day. But, in the nature of things – and not least because there will be some delays before the European Medicines Agency can sort out all the transfers – by Brexit day, some UK exporters will have acquired EU-based market authorisations, and some won't. 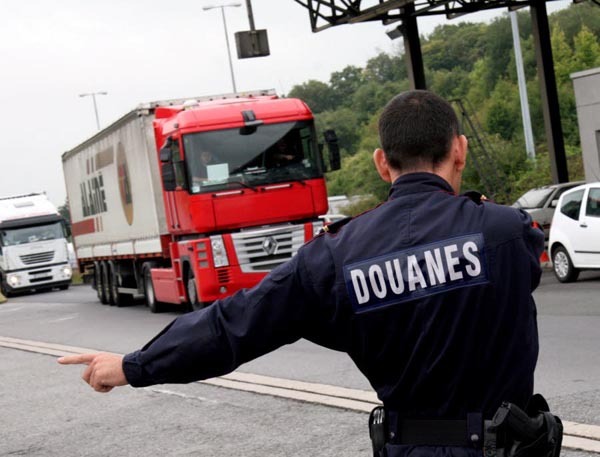 Now put yourself in the position of an official in Calais on Brexit day, confronted with a truck carrying several different types of medicines, packaged for retail distribution. What would the previous day have gone through unchecked will now have to be stopped. The paperwork will have to be checked to determine to the products carried and whether the market authorisations are valid. The trouble is that the documentation may or may not have been updated. In a stable, long-standing system, officials might rely on everything being correct but, where such huge changes have been made, it is possible that not all the details will be correct. Documents, therefore, will have to be carefully scrutinised for errors. Obviously, medicines which are not correctly authorised will not be admitted. In a mixed load, they will have to be removed and returned to the UK – or the whole load must be rejected. However, the complications are only just starting. Permission to market medicines rests not only on the authorisation. The manufacturing plant has to be officially inspected and certified as conforming with the guidelines for good manufacturing practice (GMP). Then, each batch must be certified by a Qualified Person (QP) as conforming with statutory requirements, before it can be released for sale. In the absence of mutual recognition agreements (MRAs) on GMP and conformity assessment – which would be the case in the "no deal" scenario – then any products manufactured in the UK would have to be rejected, even if they carried a valid market authorisation, current in an EU Member State. The complication now is that many medicines are produced in bulk in one plant and then shipped to others for various levels of packaging. Tablets, for instance, may be blister packed in one plant and then inserted into retail outers in another. Thus, our hapless official will have to check further to see whether the product was made in the EU and just packaged in the UK. And even then, if GMP requirements apply, the medicines will have to be rejected. Probably, to be on the safe side, all medicines coming over from the UK will have to be rejected. That, at least simplifies the jobs of the officials. They will just need to keep a look out for any vehicles carrying medicines. They will have to be intercepted and returned to the UK. That will also apply to vehicles seeking to cross into the Republic of Ireland. The worst of it is, though, though, that the complications not stop there. For a considerable number of medicines, the market authorisation holder is in the UK, while the product is manufactured in a number of sites elsewhere. The authorisation for the beta-blocker Bisoprolol, for instance, is held by Sandoz Ltd, in Frimley, Surrey, but it is manufactured only in Germany, Ireland, Slovenia and Poland. Many other medicines have a similar profile. For many of these, even though they cross no borders, it will not be legal to sell them in EU countries. And all this is just one sector. One presumes that a company marketing nuts and bolts for general engineering use will be able to market their goods in the EU. But if they are intended for use in vehicles, and (especially) in aviation, export may not be permitted. Vigilant border officials will have to check loads to ascertain the intended use of multi-use parts. Any number of manufactured goods, which require third party certification, will also have to be intercepted and rejected, and it goes without saying that animals and foods of animal origin will not be permitted entry. Even the pallets on which goods are shipped may be rejected if they have not undergone the correct timber treatment. What we are dealing with here, therefore, is potential chaos. Thousands of vehicles each day, crossing over to EU states will have to be checked, and possibly thousands returned to the UK until shippers get used to the new rules, and know what to avoid. And this is the reason why we cannot countenance the so-called WTO option. The WTO only sets the frameworks – the detailed rules are made by the EU and they also have to be obeyed, or the products will be rejected. And your customs systems can be as "streamlined" as you like. If products don't conform, all that means is that they are sent back quicker. Yet, nothing of this is getting through. We see recently the Brexit Committee report on the progress of the UK's negotiations on EU withdrawal. It paints a gloomy enough picture, but it's only scratching the surface, calling the wrong witnesses and asking them the wrong questions. Even worse, we get to hear of a secret report from government that says our customs system will not be ready in time for the start of the new relationship with the European Union at the end of 2020. That assumes we get a transition deal. The longer we leave it, of course, the better prepared in some respects we shall be. But such is the volume of change that its sheer extent will defeat any measures to prepare for them – always accepting that the resources are available. EU member states may be reluctant to commit those resources. The chances of them being ready on time are virtually nil. Gradually, therefore, we are descending into chaos. This is unavoidable. The only thing we can influence is the degree.